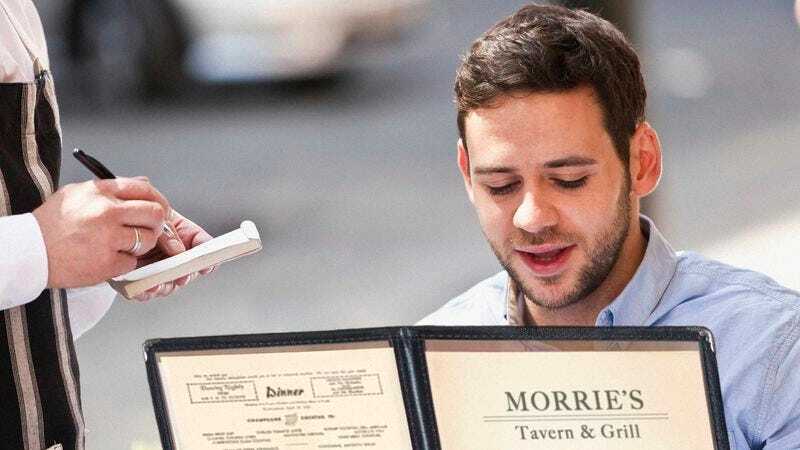 ATLANTA—Speaking up on behalf of his six-person group at Morrie’s Tavern & Grill Tuesday evening, software engineer Bradley McCray reportedly took it upon himself to order a wide selection of appetizers totaling approximately $40. “Yeah, let’s get two loaded potato skins, a plate of habanero poppers, and a few baskets of chips and guac for the table,” McCray was overheard telling the waitress, neglecting to consult the other members of his party before committing them to the large assortment of pre-dinner fare. “Are the regular or chipotle hot wings better? You know, how about you just bring us one of each? And we’re also gonna start off with a pitcher of strawberry margaritas to share.” At press time, the rest of the table was watching helplessly as McCray asked to see the dessert menu.